Sparks, Nevada. September 29, 2014 – Sierra Nevada Corporation (SNC) will be presenting an overview of its Global Project spaceflight program Tuesday, September 30 at 11:45 a.m. EST at the 65th International Astronautical Congress (IAC) in Toronto. 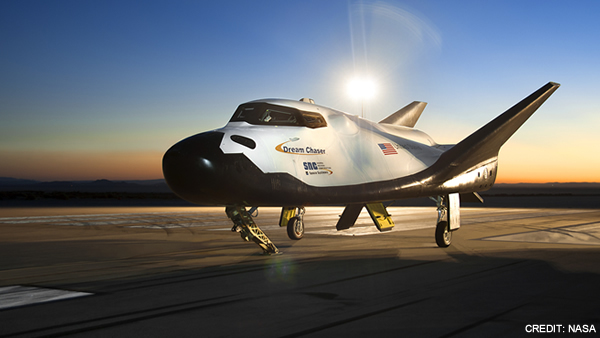 The Global Project offers clients a unique turn-key spaceflight capability based on SNC’s Dream Chaser crewed space vehicle. SNC’s Global Project offers clients across the globe access to low Earth orbit (LEO) without the time, resources and financial burden of developing the necessary capabilities or infrastructure to support a mature human spaceflight program. The Global Project utilizes the Dream Chaser spacecraft as a baseline vehicle which, in turn, can be customized by the client for an array of missions to support government, commercial, academic and international goals. The individual mission customization of the Global Project can be applied to both crewed and uncrewed variants for a single dedicated mission or suite of missions. In addition to offering customized access to LEO as part of the Global Project, SNC has also developed a tailored, world-class training program based on NASA’s strict certification standards that includes preparation for crewed flights, payload and vehicle safety operations. Dream Chaser astronauts undergo training at SNC’s Dream Chaser Training Facility and Space Operations Center. Individuals complete pre-flight, ground, payload and mission control training, and obtain mission briefings in addition to other necessary training as determined by the mission. SNC can also assist clients in setting up in-country training programs as needed. The Dream Chaser is a reusable, lifting-body spacecraft capable of crewed or autonomous flight. Dream Chaser is the only lifting-body spacecraft capable of a runway landing anywhere in the world. Sierra Nevada Corporation recently filed a legal challenge to the award of contracts to Boeing and SpaceX under NASA’s Commercial Crew Transportation Capability (CCtCap) program. The CCtCap program will restore U.S. human transportation capability to the International Space Station. SNC stated in a recent press release that with the current awards, the U.S. government would spend up to $900 million more at the publicly announced contracted level for a space program equivalent to the program than SNC proposed.